We just returned from a great time in California. 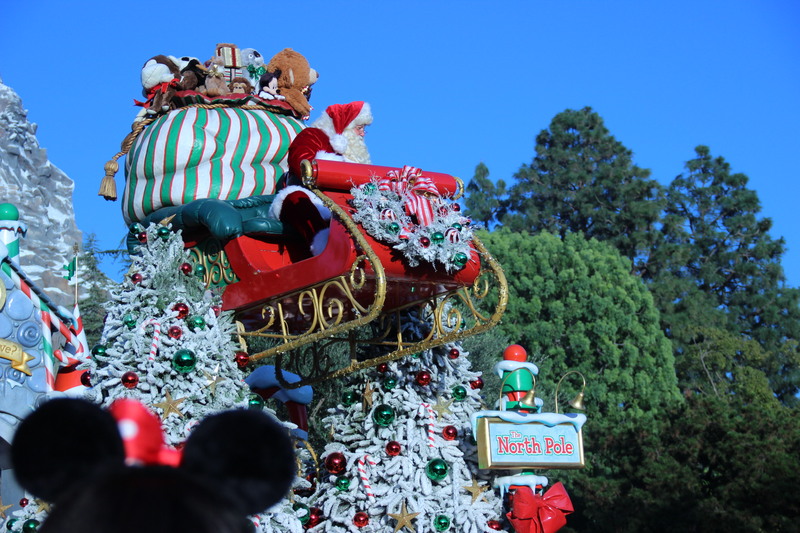 We visited Disneyland and this is what I wish I knew before I went..
With an 8 hour jetlag we were up at 3am so it simply made sense to get to the park as early as we could. The roads were clear as we set off around 6.45am from Marina del Rey and got there within an hour. Kids dosed off in the car and once we got to the parking booth we were asked where we came from. “England” we answered and so we were named Mickey’s Honorary Guests for the day. We got badges for everyone in the car, free parking and were escorted to the front of the park to a special parking spot in front of where you take the tram. This saved us at least 30 minutes. 2. Just print your ticket or take a picture of it – avoid delays to get in! We bought the tickets the night before and downloaded the pdfs onto the phone, each ticket was open in a different window ready for scanning, however, as we got to the entrance it turned out that when you tried to open each of them the page would go blank because we didn’t have an Internet connection. This wasted at least 10-15 minutes trying to go on Disney’s wireless and reopening each ticket. Just print them if you get a chance. 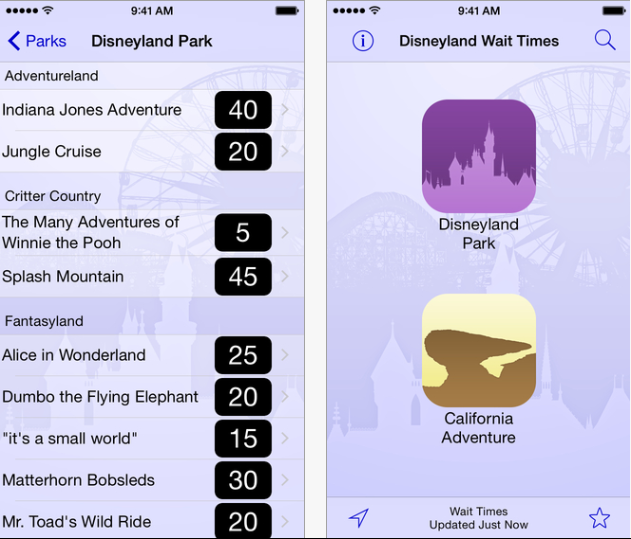 We found an app with clever statistics on which order to do the rides. It had good reviews but I don’t think it took into account we were visiting the Monday before Christmas Eve. It suggested Peter Pan would take 10 minutes but instead it took 40 min. 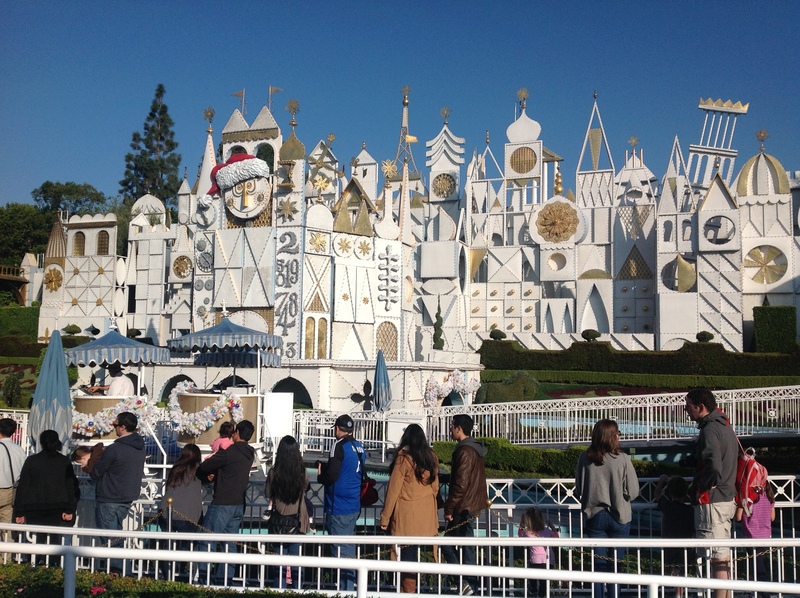 Then, It’s a Small World was meant to take 2 minutes and actually took 20min and so on. It was ok-ish but it took some convincing to just accept we should focus on the rides we really wanted to do. At a glance you think it won’t be too bad and question why the sign says it will take 40 minutes. You join thinking this is moving at an ok speed. Almost at the entrance and then you realize 2/3 of the queues actually take place inside the building itself. The good news is that once inside there are things to distract the kids such as screens, or robots, but just to warn you; don’t be fooled when you join that queue. Also bear in mind that you can’t join the queue with your stroller so you’ll have to park it outside. This is why having a carrier with you is so handy specially if you go with a little one. Our son is almost 5 but still fits in the Ergobaby (up to 20kg) so luckily this helped him not get too tired – daddy on the other hand was wrecked. Queues get progressively worse as the day unfolds. Get your FastPass first thing. You are given a slot throughout the day and ours were given very late. Indiana Jones was at 9pm by which time we had gone to sleep already. Get them quick. I almost gave our 1 year old and myself a heart attack when we took the Pirates of the Caribbean ride. I had been on this ride as a kid but I seem to have forgotten there are 2 falls which felt like a rollercoaster drop. I do wonder how this was allowed as I felt I could have dropped him easily. It was so dark and everyone screamed including him. It frightened him and before we could recover came the second one. Wish I’d left if in the carrier so he felt safer. On the flip side it was a great ride and I am pleased we all got to enjoy it. Jonas age 1 slept through the whole parade, Dylan sat on Mark’s shoulders and was not all that impressed by seeing the characters. He was eating an ice cream – very expensive Mickey shaped one – which he dropped on someone’s head. My nephew aged 8 wanted to sit down after 5 minutes and asked for the iPad. My other nephew aged 13 wanted to go to the Star Wars shop. At least I was excited to see all the characters prancing around and waving. Not sure if it’s a generation or cultural thing with the parade but this wasn’t the highlight I though it would be for the kids. They say take loads of snacks and drinks and avoid food stalls. Instead I recommend you invest in a nice lunch where you can also rest and relax. We ate in front of the Haunted Mansion. It was great as there was live music and it was a New Orleans style restaurant with delicious food. It was a bit expensive and we had to queue to get in, had to hunt for seats but then had time to relax and recover. If only we could have had a beer while the sun was shining. Don’t be surprised if the queues for food, drinks or snacks take longer than the one for a ride itself. Popcorn queue was 30 minutes. Same went for ordering coffees at stalls. It is not quick. 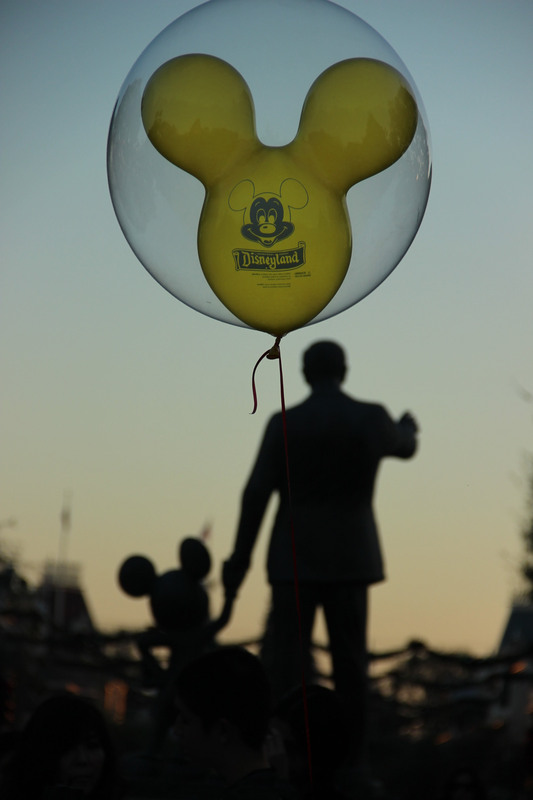 It can also be hard to find what you want unless you go to Main Street. Those queues are simply not worth it! 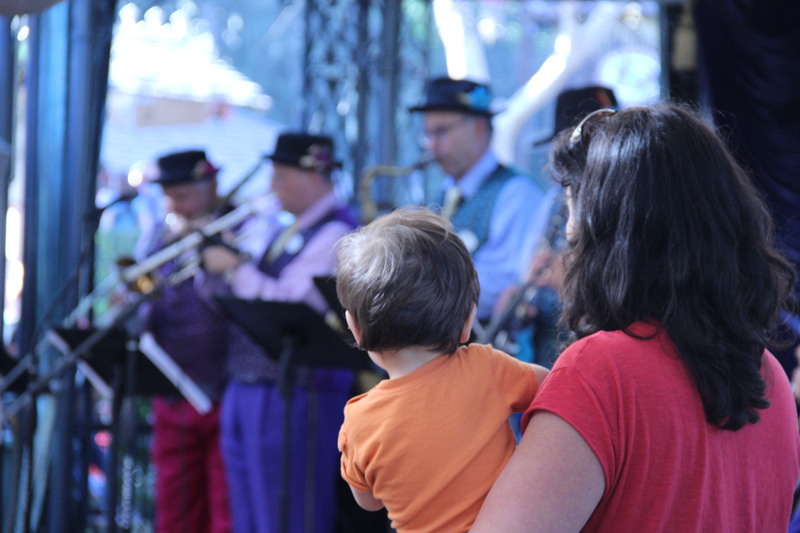 As they don’t let you enter the queues with the stroller you might question if you take it or not. Take it! It’s a handy storage solution. Especially as we went in December it was very cold in the early hours and towards the evening. Carrying all those coats and jumpers was painful so throwing them on the stroller was the most handy thing. 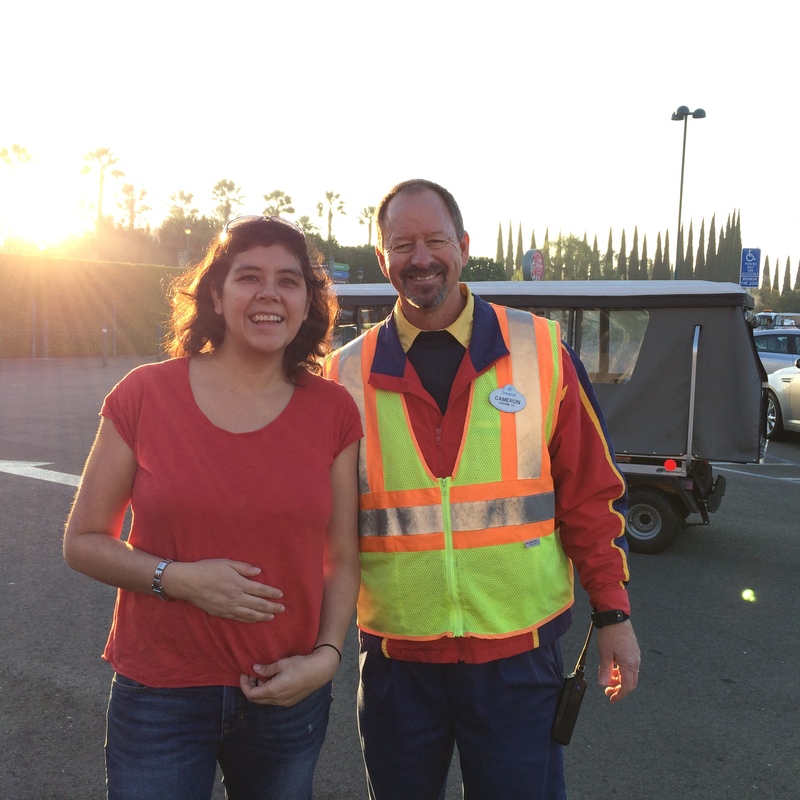 There are areas to park the strollers and they have staff keeping an eye on them. Can’t believe I almost considered leaving it. They still take a pic of you on rides but now with smartphones some clever youngsters were all prepared to take the picture of the picture. Very clever as they get a free memento. We were obviously not prepared and our picture was shown for a split second and then we had to go to the counter to see it. If you want to save $15 have your phone ready as you exit the ride. If you can afford it though it is worth every penny. 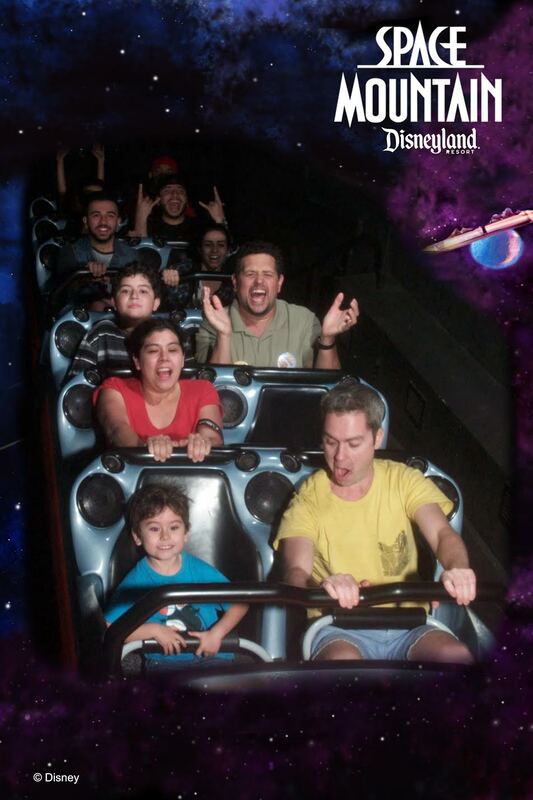 First time our son went on a roller coaster and he will remember it forever. I knew this would be a special day but I never imagined I’d feel so happy. Being taken back to your childhood when you took the Its a Small World ride and then to see your little ones eye sparkle as they experience it for the first time is simply precious and will melt your heart. 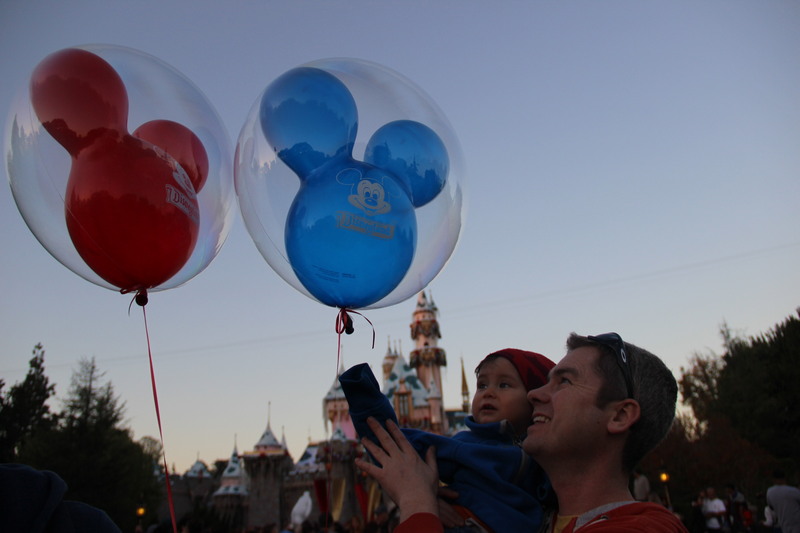 The last time I’d been to Disneyland I was 15 years old so it was great to return with the kids, relive all those happy childhood memories and watch how your little ones have a magical day. It is definitely the happiest place on earth for big and small. Don’t miss it.